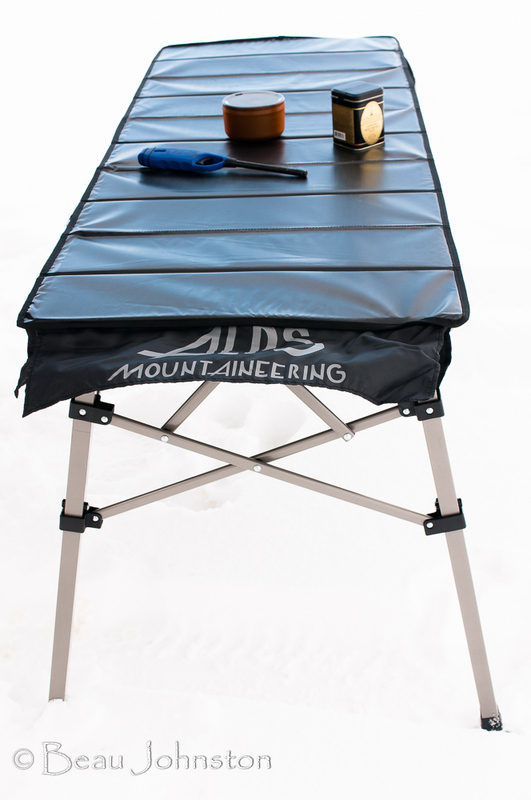 We have had our ALPS Mountaineering Dining Table since 2008 and it has traveled with us on nearly all of our trips. We have come to rely on the table as an essential part of our camping kit so we were excited when ALPS announced their new Guide Table in May of 2012. When I first saw the table at the Outdoor Retailer Summer Market, I immediately thought of it as great for cooking preparation and serving. 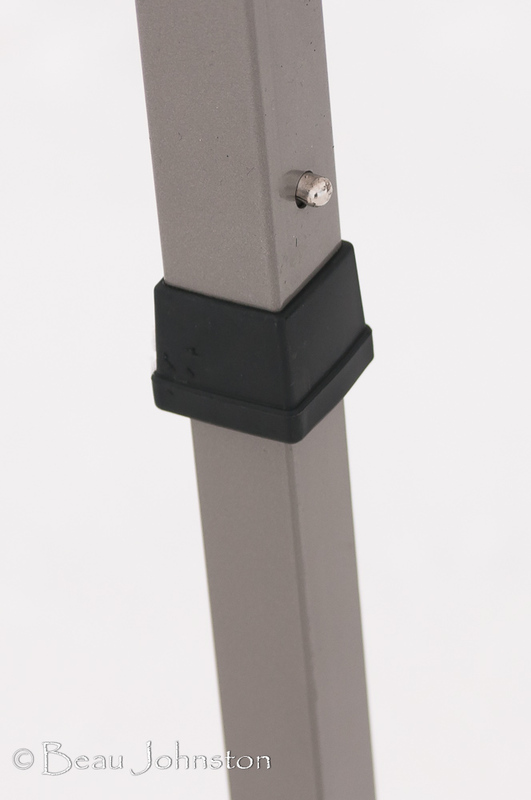 The adjustable height allows for an elevated working surface, a feature I have long sought being 6’6” tall! The table easily sets up, similar to an ‘easy-up’ awning, with the four legs connected by a cross-linked framework. Once the table’s legs are separated, the three load bars are slid through the loops on the table top and then attached to the frame. 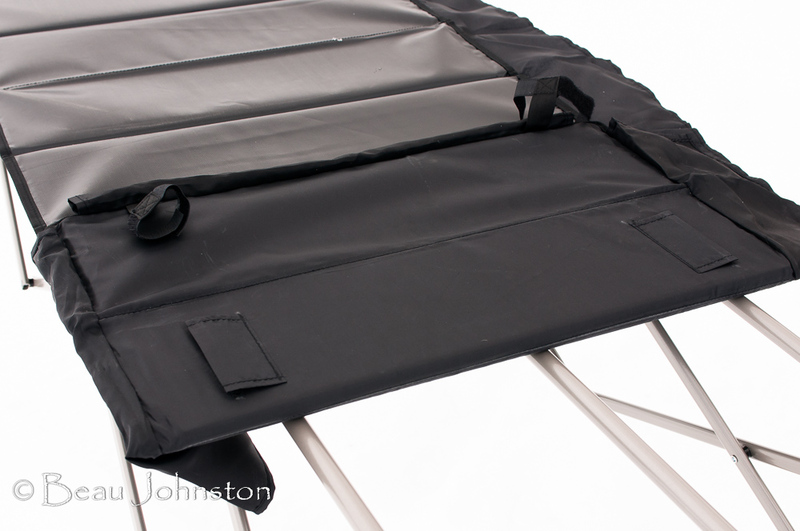 Simple hook and loop straps wrap around the frame to keep everything together. The table top is made of composite boards that are covered with a rubberized fabric to create a light weight, yet sturdy, surface that is easy to clean. 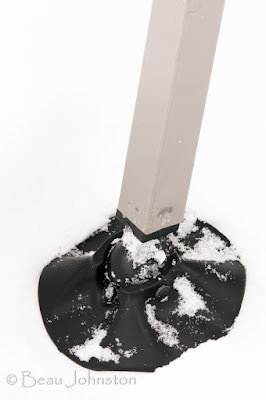 The adjustable legs are easy to operate and the wide feet prevent the legs from sinking into sand or snow. 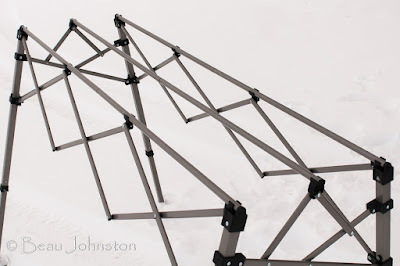 I only see one area where the Guide Table could be improved; we are unable to place hot pots, or even a camp stove, on the table surface without the fear of melting the poly surface. We really like our Dining Table’s aluminum top as it allows us to pull the stove out of the truck when we are set up in a camp for a few days. Some would think the extra weight of the Guide Table would be an issue. It is more than double the weight of the aluminum dining tables, but I have often wished these types of tables had a bit more heft. 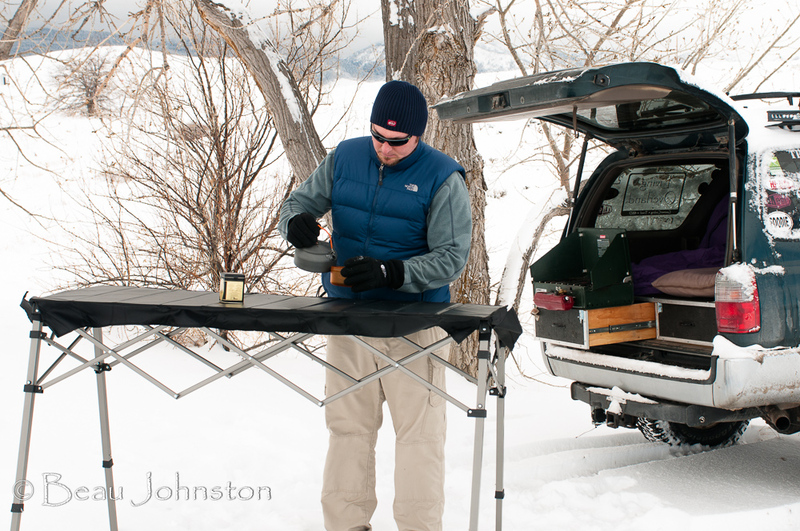 When camping in windy Wyoming and Idaho, you come to appreciate gear with a little more weight. 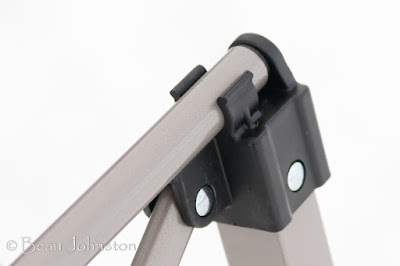 After camping with the table for a couple of trips, I have decided I am going to drill a hole through each of the feet to accommodate a tent stake to further reduce the table’s chances of being flipped over in the wind. While we will have to continue cooking from the back of our 4Runner, I believe the Guide Table will replace our existing Alps Mountaineering Dining Table. The adjustable height is a huge bonus for me. I have a hard time bending over traditional camp tables and the Guide Table puts me in a more ergonomic position for food prep. I would recommend the Guide Table to anyone who is looking for a solid food prep/serving table and isn't concerned with weight.